The Native MR Gate Background Attenuation Expander/Gate Plug-In from Wave Arts is an expander/gate plug-in that features an adjustable look ahead to react quickly to forthcoming audio as well as adjustable threshold, ratio, and attack and release times to dial in the proper amount of gating for a given application. Its display provides a brief timeline of input versus output levels so you can visually monitor your signal. 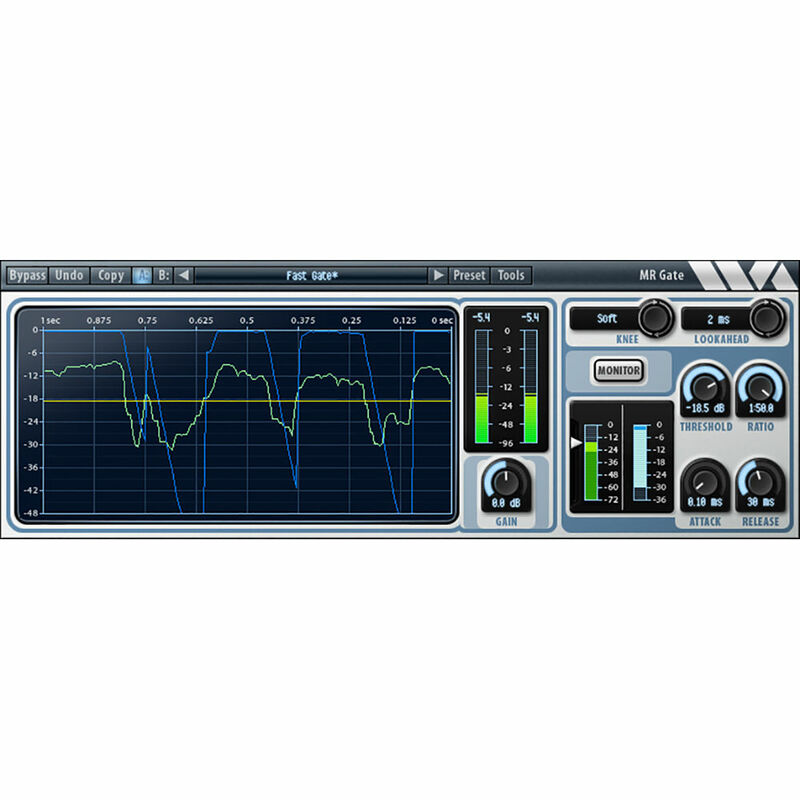 The monitor feature allows you to hear the gated signal, providing an additional means of monitoring your track for accuracy. 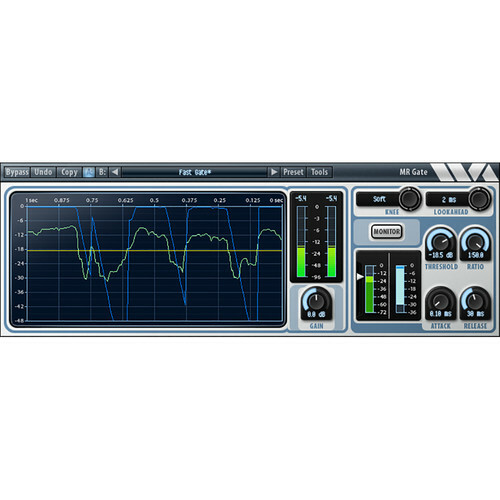 It supports sample rates up to 192kHz and is compatible with AU, VST, MAS and RTAS plug-in formats on Mac and RTAS, VST, and DirectX plug-in formats on Windows.